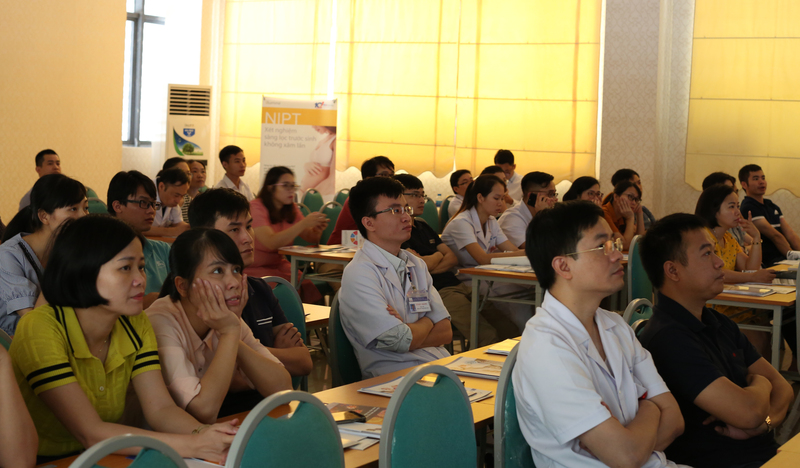 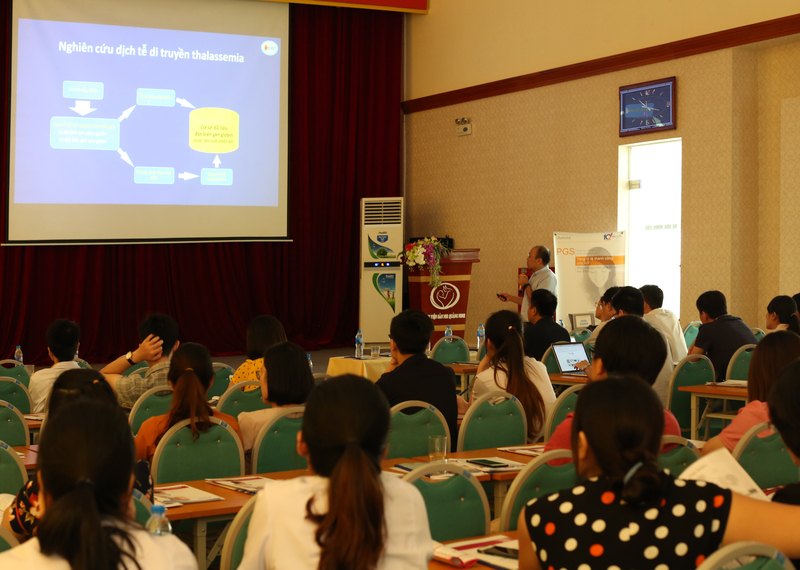 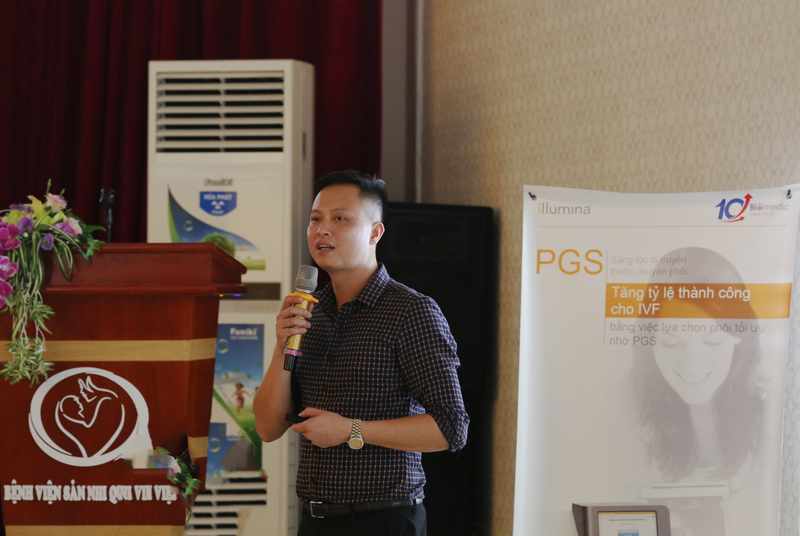 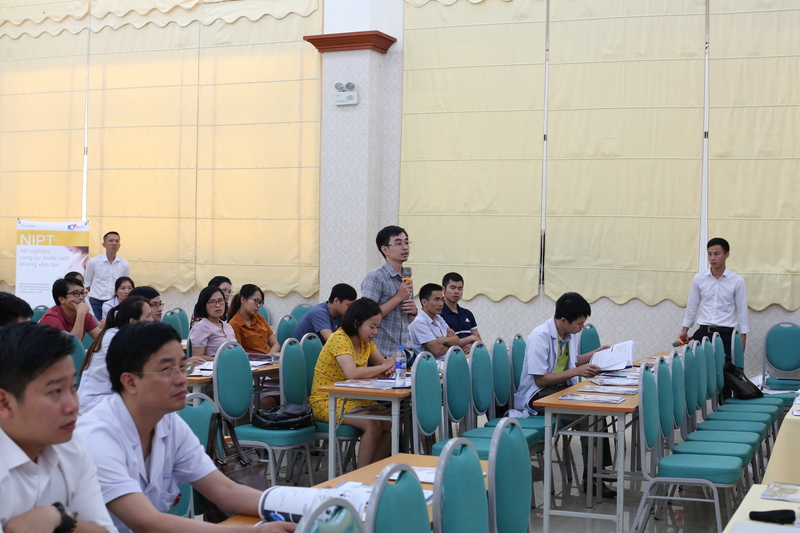 Lately, on September 22nd, the seminar on “Updating hereditary information in obstetrics and pediatrics” was held at Quang Ninh hospital of obstetrics and pediatrics with the attendance of more than 60 doctors and nurses. 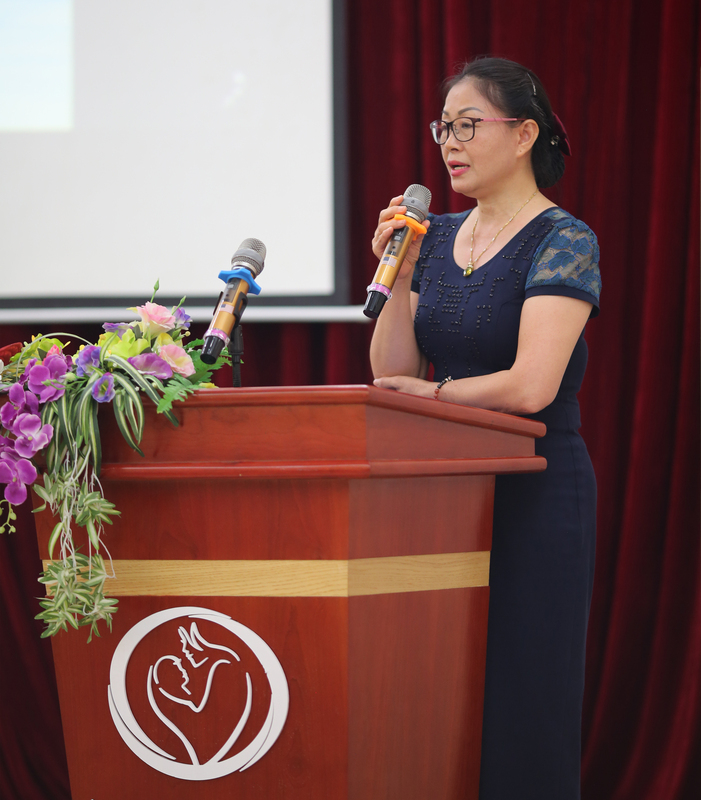 This seminar help nurses and doctors update hereditary information in embryo screening, prenatal diagnosis, single gene hereditary diseases and ThalassemiaxH screening by Biomolecules application. 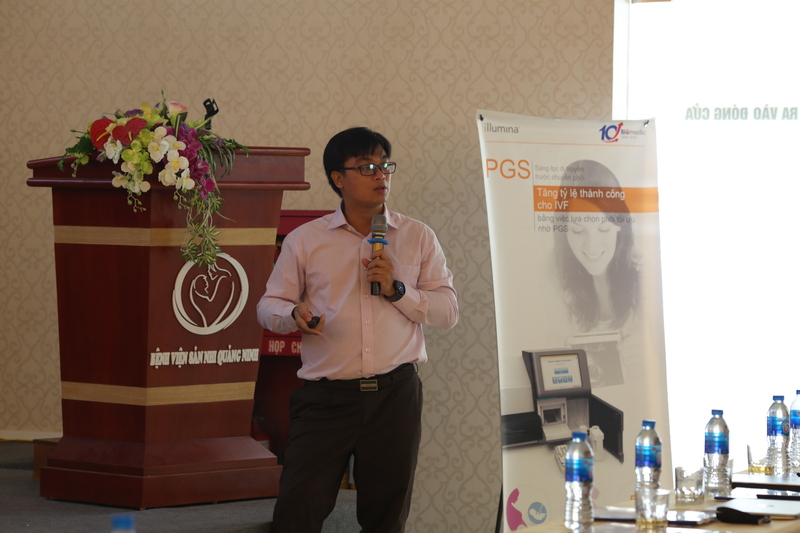 Biomedic had the honour to be one of the sponsors for the seminar. 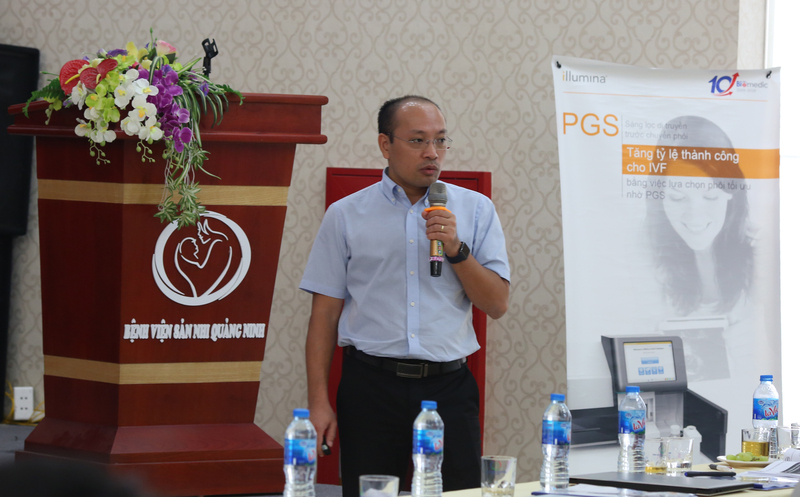 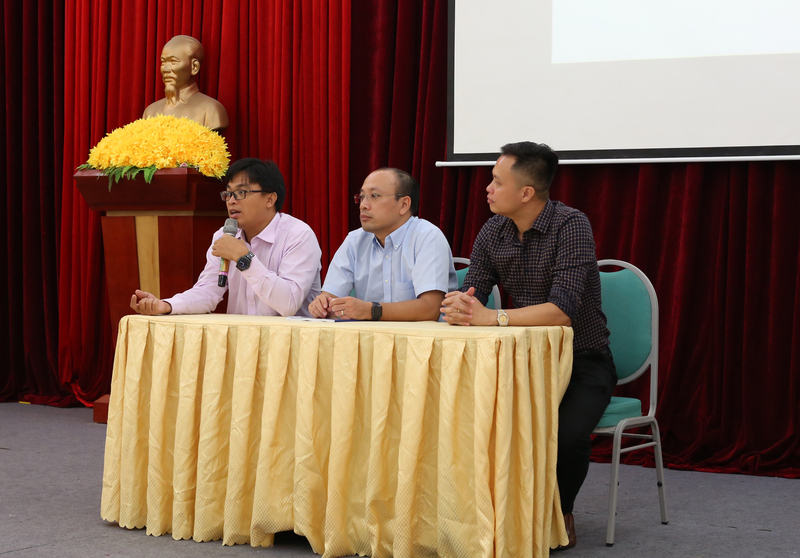 Doctor Nguyen Van Thong- Deputy Head of Anapathology – Cells – Heredity Department, Hung Vuong hospital reported on the subject “Overview of Heredity for prenatal screening and diagnosis (QF PCR, NIPT) and single gene hereditary diseases. 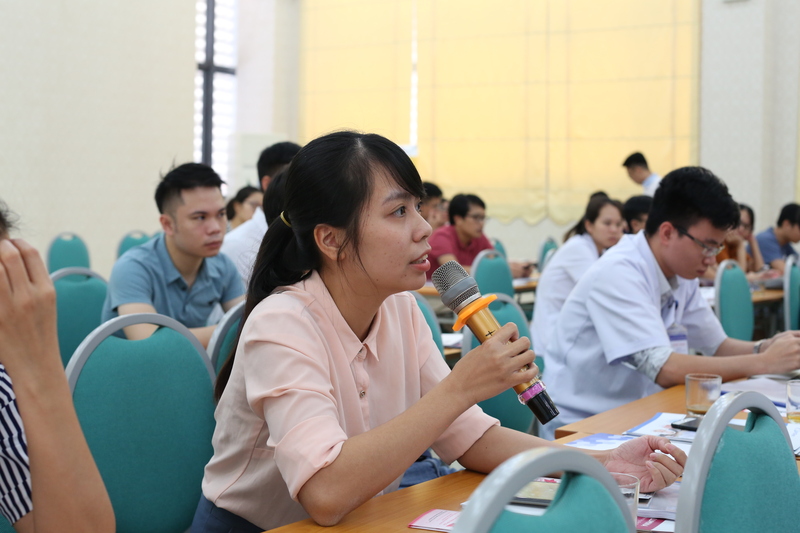 At the end of three reports, many questions were raised by doctors and answered by reporters to make clear many problems in clinical research and reality.